Construction loans are special types of loans that are taken out when you enter into a building contract with a licensed builder to build a house or dwelling. Most commonly this is done when purchasing a house and land package. 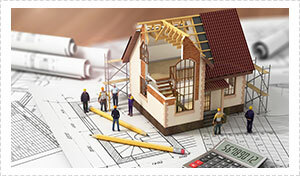 Construction loans have a progressive draw down arrangement so that each step in the construction process can be funded. If you have satisfactory equity, assets or funds to finance the construction of a new house you may not require a construction loan. 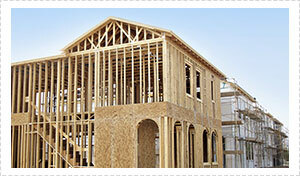 For most people though, property investors and home buyers, a construction loan is a necessity. Being able to play a part in the design of your home as well as having everything in brand new condition can be a very attractive option when looking to buy a home. Being able to customise your house to fit your exact requirements can be satisfying as well as practical. Building the right house from scratch to meet your family’s needs for years to come means you don’t have the worry and expense of having to renovate or fix up an existing house to turn it into your dream home. Buying a house that has not yet been built requires a different lending arrangement than purchasing an existing property. Construction loans differ from regular home loans because they involve a series of draw downs that occur at each stage of the building process. Lenders send out a valuation expert at each stage of the development before a payment is approved and made as a lump sum. A construction loan will generally be interest only repayments until construction is complete, after which time it will revert to a standard principle and interest loan unless otherwise specified. Payments from a construction loan are typically made at the completion of five major construction steps. First, when the slab is laid, then when the frame of the dwelling is in place, next when the dwelling has been built to a lock up stage, followed by the inside fittings such as plumbing, electrical, tiling, painting, appliances and finally when it has been completed and ready for occupancy. Lenders require certain documents before being able to approve your loan. You will be expected to provide a fixed price building contract, stamped council approved building plans, a copy of the builder’s insurance policy and the house specifications. Nexhome Finance have more than 30 lenders available. Not only do we know our construction loan products extremely well, we are able to match the right construction loan package for your circumstances. Saving you the time and worry of having to research and choose a loan package that is right for you. Integrity and experience are vital when it comes finding the right construction loan and at Nexhome Finance, Gold Coast and Brisbane, we pride ourselves on our friendly professional and honest relationships with our clients. Our approach is to make you feel at ease with such a big decision and guide you through the entire process including sourcing the best possible construction loan to suit your needs.